Send your little one's senses on a whimsical adventure. Sliding back and forth at clever angles through the center ball are four bars with vibrant, textured spheres on each end. 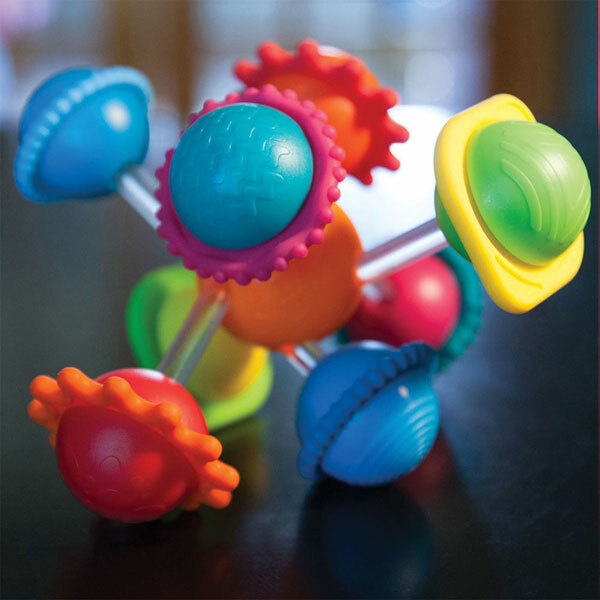 Each sphere features a uniquely shaped, spinning silicone ring built into the center - little fingers can't wait to grab, feel, spin, squeeze, pull, and explore. Made from strong, BPA-Free silicone. Safe for ages six months and up.